-Will Ethereum take over Bitcoin? The talk is In the Crypto community across all platforms, forums, meet ups and around the Crypto space is wether Ethereum will take over Bitcoin or not? In this post I will cover this topic and hopefully give you a good vision of what is to come in the Cryptocurrency arena very soon. For those of you who do not know Bitcoin is the media darling right now and everyone Loves Bitcoin, but is there a new Sherrif in town? Bitcoin started back in 2009 and has created something that will change the world as we know it. Digital currency has evolved beyond anything it ever had been achieved before. The Blockchain technology was born and we will never look back now. This has provided us with a system that is more secure, transparent than anything we have ever seen before. We can now send value anywhere in the world just like sending an email. This is possible all because of the Blockchain technology. 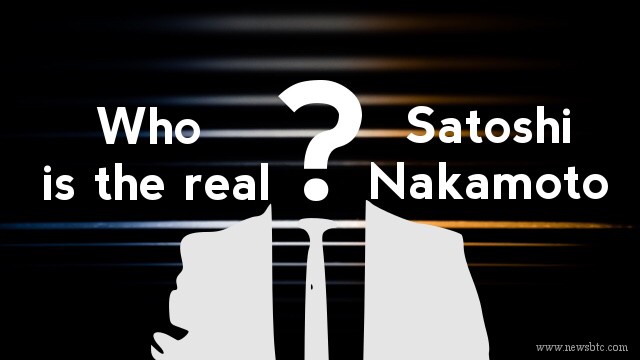 Satoshi Nakamoto who was the creator of Bitcoin, we salute you for all you have done and what this will create in the future too. What the internet did for information the Blockchain will do to Money!! Bitcoin has now paved the way for over 850 other Cryptocurrencies that are being designed by Entrepreneurs & Tech geeks who are all trying to create something special in this space. There are so many different concepts and each has its own philosophy and reason for their cause of entering the market place. One of the leading designers is Vitalk Buterin who created the Ethereum platform after being involved with Bitcoin for many years. 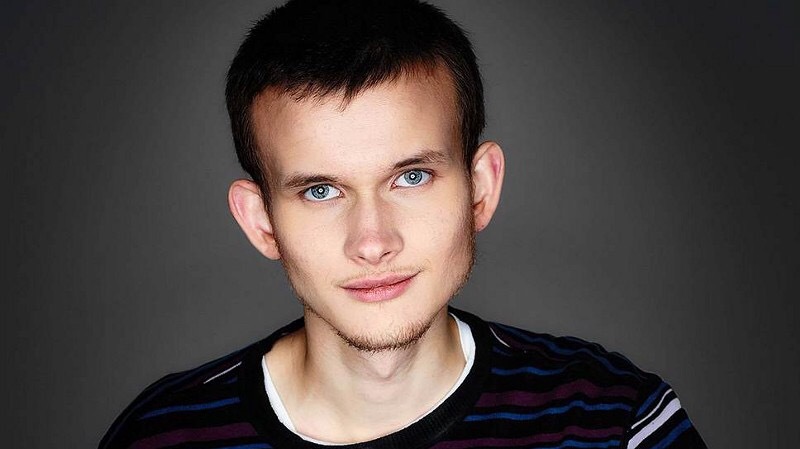 Vitalik was actually the chief editor of the Bitcoin magazine and is an expert programmer. The Ethereum platform was born in 2013 & is designed as a world computer. Ethereum is how the internet is supposed to be & a platform where anyone can come and design Decentralised Apps (dapps for short) & smart contracts that can self execute with set rules pre programmed in. The Technology is simply Mindblowing and has caught the attention of the likes of Microsoft, IBM, JP Morgan, Samasung, Mercedes just to name a few. Ethereum’s technology will transform human behaviour as we know it .There are now many Fortune 500 companies using the platform for their own purpose to secure data using the Ethereum Blockchain. This speaks volumes for what this platform is all about. Fortune 500 companies would not put their names to it unless it was really special and they see it could benefit them as well. Ethereum is leading the charge in bringing about potentially radical transformations of business and society of the blockchain revolution. The growth of ethereum has not even started yet & only a couple of years old the potential for growth is pretty prominent. Ether is gaining huge value due to the high demand of speculators now joining the space and all wanting a piece of the hottest trend in the world right now which is Cryptocurrency.. When Bitcoin first started the value was just 0.10c a coin. It is now around $2500 a coin. Can you imagine if you put just $100 in Bitcoin back then. Today you would be a multimillionaire. That is a fact. Here is the problem with Bitcoin, it is quite limited alouthgh excellent for secure peer-to-peer financial transactions but tricky to build whole businesses on. The Blockchain is limited on how many transactions it can process every ten mins, or even longer in some cases due to its huge que & demand slows down processing times across the network. I actually sent a Bitcoin transaction the other day for a purchase I made and it took 50 mins to be processed. That is not good if you was the merchant or like me the customer waiting for the transaction to be cleared. Ethereum is about to launch platforms that will disrupt, Uber Air BNB with a a peer to peer app service that allows the customer to interact with the driver or owner directly. No middle men needed at all which will create the ultimate sharing platform. The financial industry is about to be radically changed by this technology as well. Consider Ethereum’s first killer app: ICOs, or so-called initial coin offerings. 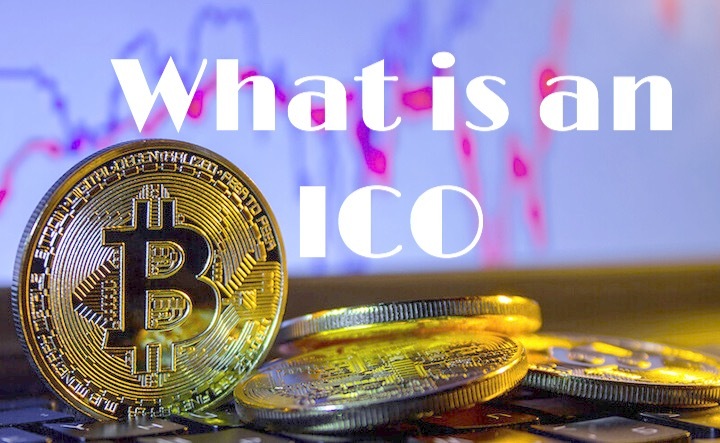 These are basically crowdfunding sales; investors purchase bits of blockchain software called “tokens.” These tokens can represent anything from an interest in a company’s products to a share of future profit. In 2017, blockchain entrepreneurs have already raised $750-million through these ICOs. About two-thirds of them used Ethereum’s ERC20 token standard, and now the projects and organizations existing on top of Ethereum are worth billions. Yes we love Bitcoin it has created something truly magical, it is the godfather of Cryptocurrency and with the big decision coming on Aug 1st 2017 wether bitcoin will fork or not ,will only lend a huge hand to Ethereum rising and the Flippening taking place. With a technology this powerful, advanced & designed as a world computer, Knowing Ethereum is also being backed by the likes Of Microsoft, Samsung, IBM, JP Morgan to name but a few,I think there will be only one winner in my opinion in the Crypto space between Bitcoin & Ethereum. Imagine this – If it does really achieve what they say it will and surpasses Bitcoin, are you going to be one that profits from the explosion, or one that looks back and says only if I took that chance? The choice is yours. ..
What do you think will happen between Bitcoin & Ethereum? Do you think Ethereum will pass Bitcoin? Please leave your comments below. If you also get value from this please Like Share & Comment on this post. If you would like to work with us please also get in touch& we will arrange someone to get back to you. Author The Crypto Pro'sPosted on July 11, 2017 July 12, 2017 Categories Live Webinars, The Blockchain, Training and EducationTags BITCOIN, Blockchain, Blockchain technology, coinbase, crypto, crypto currency, cryptomarkets, entrepreneur, Ethereum, How does mining work, litecoin, Ripple, THE CRYPTO PRO"S, what is Bitcoin, What is Cryptocurrency, What is Ethereum, what is the Blockchain, What the Blockchain, will ethereum pass Bitcoin, work from home5 Comments on -Will Ethereum take over Bitcoin? In this post we are going to talk about Germany’s leading food delivery company now accepting Bitcoin. The world is changing and Digital payments are here to stay. Germany’s leading food delivery service Lieferando.de who have over 11,000 restaurants are now accepting Bitcoin as payment. Lieferando announced this week that it has added bitcoin as a payment option. In addition to having over 11,000 partner restaurants, the company claims to have 3.9 million users and 17.3 million orders with an average order value of €19.68. The sales are in the millions across Germany using this service.They are dominating the market place & are now leading the charge in their region. The parent company to this business is Takeaway.com. So the millions of customers who use this service will now see Bitcoin as a payment method . This will bring huge attention to the Cryptocurrency space & just shows you that this is growing super fast & the future of payments is here. 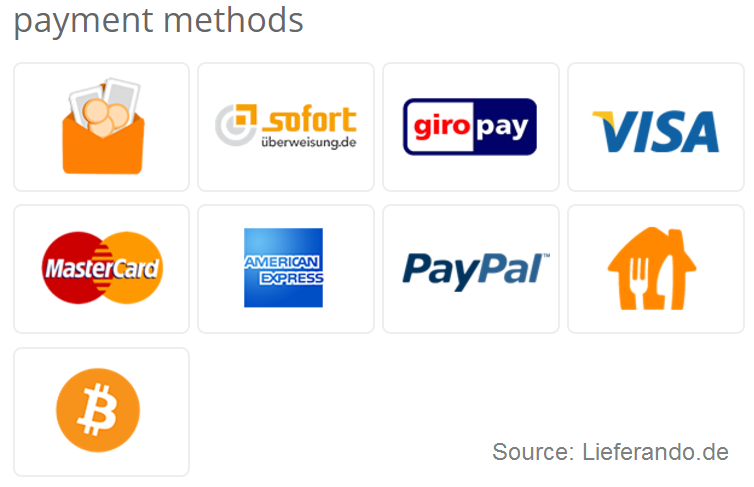 Lieferando.has already included information about how to pay with bitcoin on its website. Bitcoin payment is facilitated by Bitpay, just like other Takeaway.com brands that accept the cryptocurrency. Users paying with bitcoin will be redirected to Bitpay and back after payment has been made. “The bitcoin amount is always converted according to the current exchange rate of Bitpay,” the site detailed. In addition, Lieferando.de added, “when paying with bitcoin we do not charge any additional costs.” Paying with credit cards and Paypal, however, will incur a fee of 6%, according to Takeaway.com. Bitcoin will now be gaining huge exposure across German with its leading food delivery service Lieferando.de which has over 11,000 restaurants on board. This will grow exposure to millions of people and brings huge credibility to Cryptocurrency space. How do you think this will effect the Bitcoin market & would you use this service leave a comment below and let us know what you think? There is a frenzy across the world right now and it is making people go nuts, but what is it all about and why is the world CRAZY on Cryptocurrency. Everyone’s lips right now are all talking about it and it is Hot Hot Hot!!!! I never thought I would see anything like this in my lifetime. A movement so big it will change Money and they was go about our every day lives forever!! A few of the smartest people on the planet who create industries and multi-billion dollar companies are all backing and putting their reputation fully behind this revolution. Let us have a look at what they have to say about this idea, concept and technology that is changing the world as we know it!! 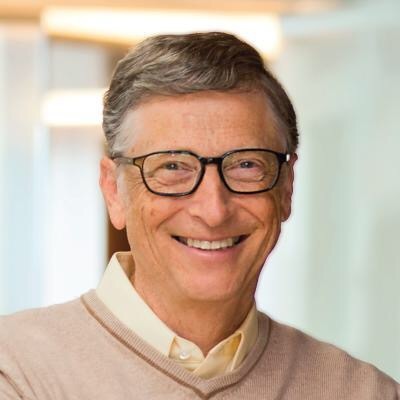 Bill Gates just invested 400 million dollars into Microsoft in adapting this technology& have partnered with Ethereum as well. 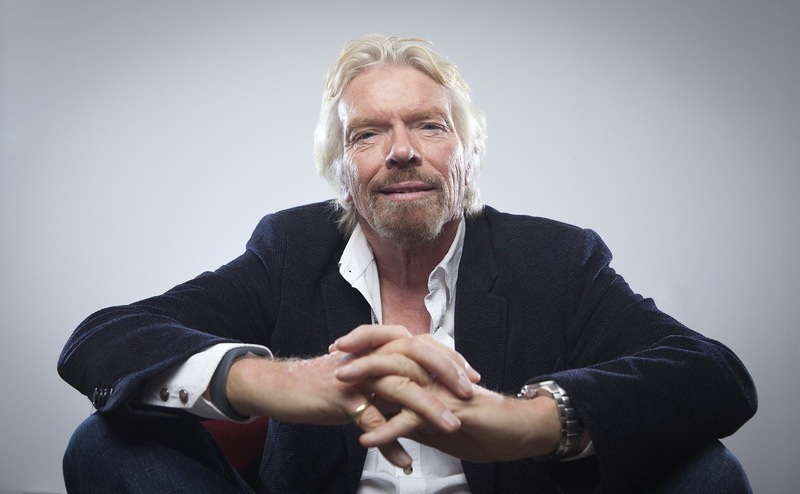 Sir Richard Branson holds a yearly Cryptocurrency event on Necker Island. 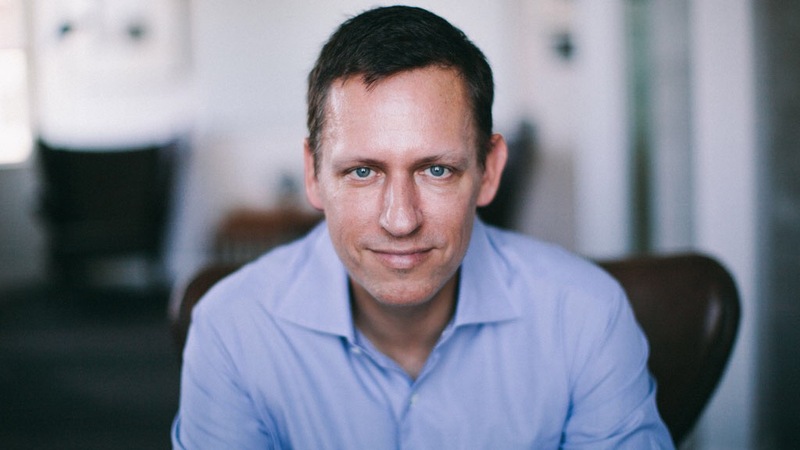 invented the Web Browser, who is the biggest investor in digital money space, Co-Founder and General Partner of Silicon Valley firm Andresson Horowitz. 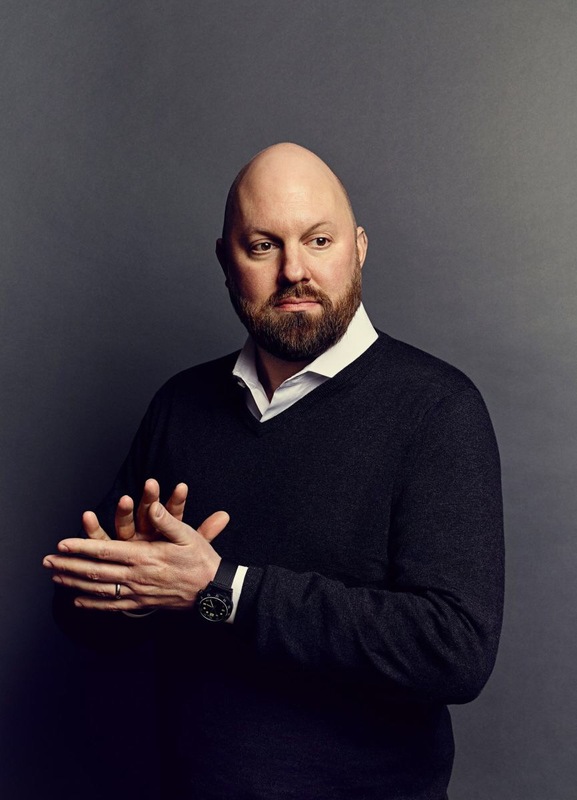 He sits on the Board of Directors of Facebook, eBay, and Hewlett-Packard Enterprise.invested over a billion dollars into the Blockchain technology. When you see the ‘Smart Money’ moving into this new industry and space with tremendous confidence and openly talking about this concept, you really should listen and take their advice. This is more than just a currency, though it is a Technology, a Network, and a Community combined, that will change the human culture just like Google, Facebook, YouTube has done to the world already, but on a much larger scale. You and I now have an opportunity to be part of a change, a shift, a movement so big it will change our monetary believe’s forever. This will make a difference to our lives is such a way it will impact us for generations to come. A system that is so positively impactful to the world it will change the way we use and transact money as we know it.. A new currency that can be sent instantly anywhere in the world just like sending an email but without the banks taking a slice of your transaction is changing money as we know it all around the globe. If you own a Mobile phone you can start using the new currency today!! How does that sound and I have I got your attention yet?? Ok,stick with me and I will now talk a bit more on how this all come about? Money is just a language we use to say thank you as a means of exchange, and no matter where you are from you are told you have to use that currency because it’s the Country’s Currency where you were born. You have never had a choice of the currency you must use. In 2008 after the huge economic crash happened, an Anonymous called Satoshi Nakamoto announced he had found a way to make a financial transaction with a peer-to-peer (P2P) network that could achieve a Consensus agreement without any central controlling platform, i.e., Banks. These included instant transactions and practically no fees. Which allowed you to now become the bank and control your own money so if there were another Financial crash in the future, you would protect yourself from any further harm to your money and income and hard earned savings. Everyone thought Satoshi was crazy!! ‘Satoshi created a white paper proving just this and in 2009 he released the software to create a decentralized cryptocurrency called Bitcoin. Satoshi proved everybody wrong and the evolution of money begun. Bitcoin is not a company though nor is it an organization, it is far more than that. It is a Technology a Community and a Currency. Similar to the internet; as it is not owned by anyone or tied any bank or government. It is a group of supercomputers running on mathematical laws that solve complex equations. When a sum is solved a coin is rewarded. 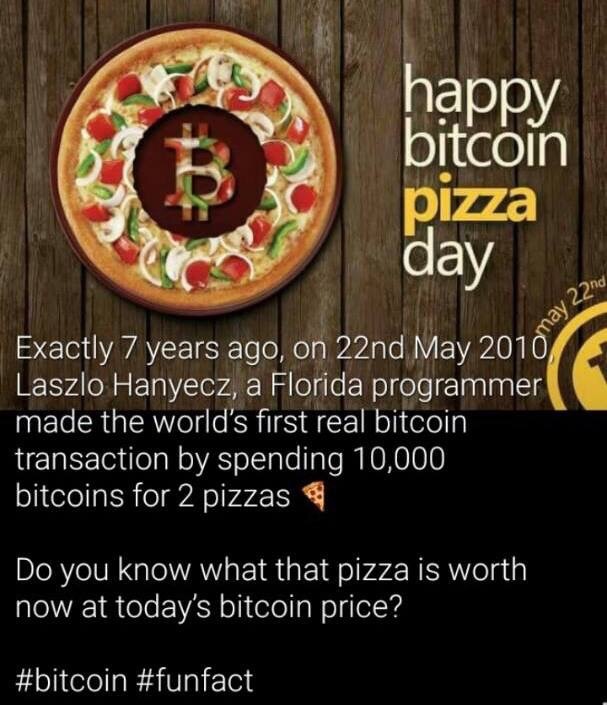 The first ever Bitcoin/Cryptocurrency transaction was recorded was for 2 pizzas. There were 2 guys, 1 from Florida and the other from London. The Guy from Florida put a message out on the bitcoin forum who wanted to test this out. (A reminder they had thousands of coins due to it being so low in price at just 10¢ a coin). The guy from London replied he would make the payment for the 2 pizzas. So he rung the guys local Florida Papa Johns and ordered two pizzas. The guy from Florida sent him 10,000 coins which I think he may have regretted a few years later on as that transaction now goes down in history as the most expensive Pizza in the world valued at $20MILLION DOLLARS +. How would that make you feel giving away something of that value?? I for one was offered Bitcoin back in 2011 but I didn’t understand it then as it was very complex and it was made for very smart IT savvy guys. Probably one of my biggest mistakes not taking that opportunity. 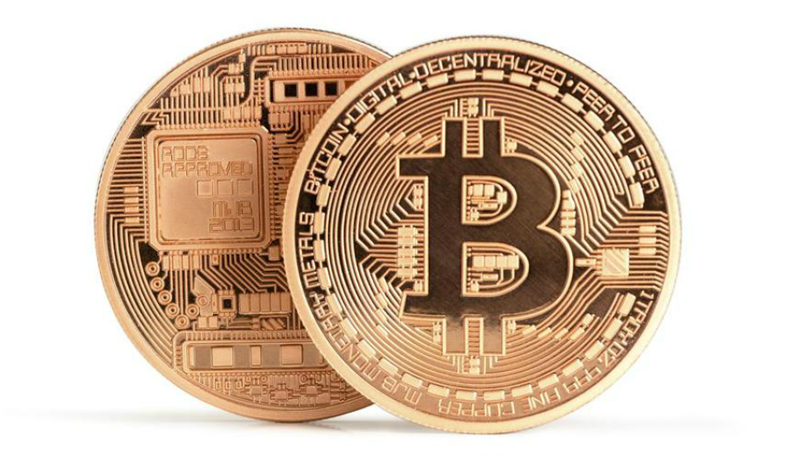 When I look at Bitcoin it is amazing to see how far it has come and now valued well over $2500 a coin. Yes you read that right from 0.10 c – $2500 a coin. This goes down as the biggest returning investment of our lifetime. 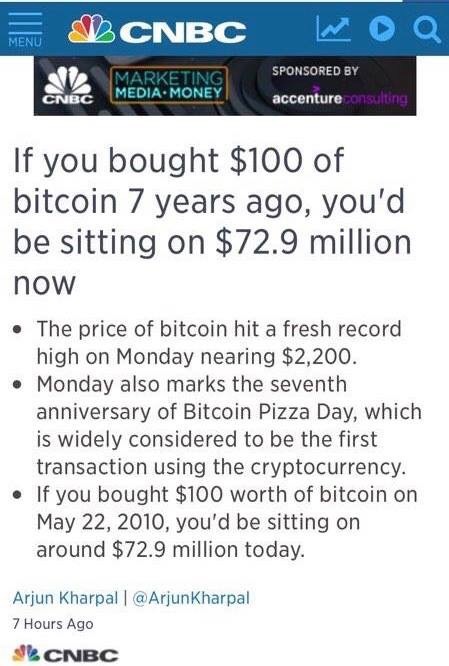 If you had put just $100 into Bitcoin back then you would now be a multi millionaire. Bitcoin is the first mover of this technology and sometimes that is not always the best place to be when it comes to technology especially when it comes to the common man. They have not reached that yet, I believe if your Grandparents Or Parents can not use the technology easily it is not going to hit mass market very easily. When Netscape first come about Yahoo was the next mover, but that was very unorganized. 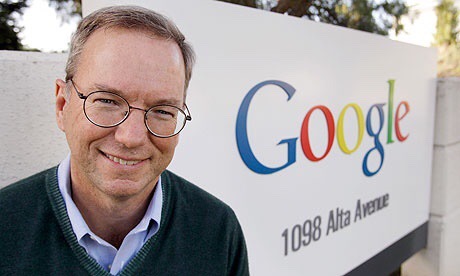 Then Google came along and organized the content and made it easier for people to use. Myspace was the first main social media to come along, and now the common man uses Facebook, and that has Billions of users now in a global market. Bitcoin was not really designed for the mass market, it was an experiment that gained growth very quickly. Now you can not get rid of it and you have a huge opportunity to create a lot of wealth if you play it right. There are no guarantees though it can go down in value aswell. Every Cryptocurrency created can only ever produce a finite number of coins and is run on mathematical laws that cannot be changed. Once the number of coins is set to be created and written into the code, you can not create any more coins unless you change the code and algorithm all together. Each coin has a unique serial number attached that will be linked to an individua like a DNA it is unique and can not be copied in anyway. Counterfeit money is now a thing of the past Money can not be copied it is unique to the owner..There is Zero identification fraud with encrypted money hence Cryptocurrency. Simply it is encrypted money. Making your money much more safe and secure than any bank is the goal of this concept. There is only a finite number of coins available, making the new currency inflation proof. When there is a greater demand for this currency it will then drive the value up. Your money is now an appreciating asset. Unlike the usual Fiat money that will lose purchasing power every year with inflation. Cryptocurrency can increase in value and put money back into your pocket. When a transaction is made with Cryptocurrency, the transaction is recorded in a public ledger called a Blockchain. Each transaction is time stamped and dated. Every computer in the network must agree on the transaction, which then allows the sender to issue currency to the receiver, so the receiver now has the money. In theory, this is just one true source of information and a trust value is now added to your money and transactions. That is very very powerful when you understand that. I wrote an article on the Blockchain not so long ago which you can see here…. Cryptocurrency operates on mathematical rules. It is a computer programme and code. When Satoshi created the code for Bitcoin, he created it with 21 Million coins that could only ever be made. 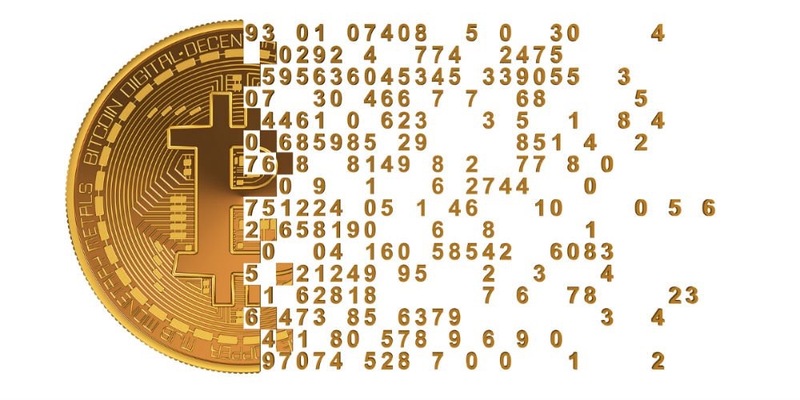 Each coin created is one sum that has been solved by a process of the computers solving the equations. The Creation of coins is called MINING. This is when computer programmes and algorithms solve the mathematical equations. So the mining is the computers solving the mathematical problems and creating the coins.You put in the capital to run the hardware with Electricity and the energy needed to pick away at the equations that need to be solved by the super computers. The more capital you put into the mining operation The more discount you receive on the return of your coins. You are in theory buying your coins at wholesale and then can sell at retail price. If a currency has 21 Million coins like Bitcoin has that is 21 million sums that need to be solved. if the equation was to find a number 5 we could find 3 coins. 1+ 4 = 5 so that is one solution to the sum so that would create 1 coin. 3+ 2 = 5 that is another solution to the code so would make 1 more coin. 0 +5 = 5 …. If I was to send my money to a friends account in this P2P decentralised network every 10 minutes, the Network agrees on what transactions have happened by a simple election that happens electronically through the Blockchain. The Blockchain is about to change everything.This is the technology that will change human culture as we know it!! This is far more important than anything you can imagine. This is the start of a new form of trust we have never had in the world or in our lives before. Nothing like this has ever been created before.When you know you have simply 100% trust on Money,votes,school grades,Loans,mortgages,cars, the list is simply endless, but when you have 1 true source of information you can never be cheated lied to or manipulated again. This is a Multi-Trillion Dollar market just as the banking and finance sector iis today..We no longer need the banks to make transactions though. Bankless transactions are now the way we can conduct business and purchase goods and services from around the world as we choose. We have never been able to control our money like this before it is a Social-Political Revolution (SPR) upon the world and people are waking up to the ways the banks operate by overcharging individuals for everything we do, taking money out of our pockets and putting into theirs. People now want a better solution, and Cryptocurrency is just what the world needs right now to evolve and become a better place for us and our children to live in. Cryptographic Currencies are Just like when the internet begun. We had no idea how it worked, and we had to learn how to use it with a learning and education process. The same comes with Digital money we have to learn how to use this and adapt to our world. We need to accept the new global currency as it is coming like a bullet train upon the world. You cannot un-invent this technology it is here to stay. So we can either learn about it now and position ourselves correctly so we can make some incredible profit from it. Or we can wait 5 years when we have no choice but to learn about it as it will be part of everyday life anyway. Imagine in 5 years after reading this today and you did not take this opportunity. Then you are forced to use the new currency. Every time you place an order a product or service from anywhere or online merchant in the world. This is the perfect money for the I-age. It is not the money of the internet it is the internet of money. The bigger picture of what this technology can do for the world and what it can create for the people is simply incredible.This is the biggest movement in our lifetime, and I do not think we will ever see anything this important to our world economy ever again. Start your journey today and contact The Crypto Pro’s for more information. Cryptocurrency is about to hange the way we use and transact money forever. It is the biggest movement of our life time It can not be hacked,or stolen. Cryptocurrency has a fixed supply, it can be sent anywhere in the world instantly with practically no fees, it can not be duplicated, it is inflation proof & it can increase in value and create you a lot of wealth. What is not to like .. If you would like more information please contact us today and we will get back to you asap.